This free online video course is packed with practical tips about how to become a data scientist. It includes a step-by-step learning plan, where to learn, and how to practice, plus information about your CV, job interviews and more. 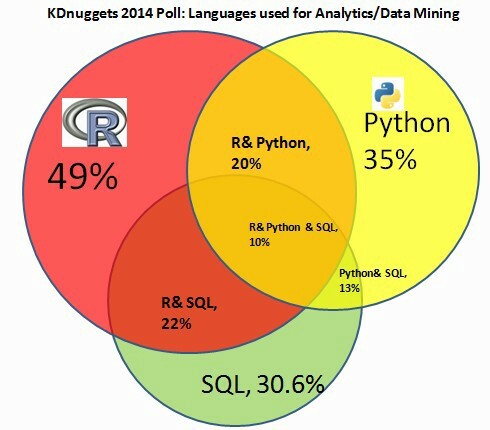 When it comes to coding for data science, you need to learn 3 languages, plus one more. These are: Python, SQL, R. And I recommend that you learn the command line, too. This is a perfect language to use for quick and dirty analyses, data cleaning and automations. It’s very flexible, so it’s commonly used at startups where the data structure can change relatively fast. I loved this course because it’s interactive and it gets to the point. It’s a bit short, though. Python is very popular (and useful) for machine learning, predictive analytics, text-mining — and just in general for all data science tasks. Big data languages (like Spark) have their own Python layers, as well. The worst name for anything — especially for a data language… it’s not even Googleable, right? :-) Regardless, it’s a very popular language designed by mathematicians for mathematicians. Thus it has a lot of statistical packages, too. SQL is like Excel on steroids, but without the graphic interface. In exchange it processes much more data much more quickly than any spreadsheet tool. I’d say, every company that does anything with data uses SQL in some part of its data infrastructure, too. The business part is tricky… the best way to learn it is on the job — as different companies have very different business needs. However, to get started thinking about business with data, there is a free course developed by Google. This is the Google Analytics Online Course. It’s primarily designed to teach you Google Analytics (obviously) which is the most standard online analytics service. But watching the course, you will realize that it has useful insights into general business, too. These are the free courses I recommend for aspiring data scientists. If you go through all of them, you will have a solid base of knowledge, which is a great first step towards a data science career! 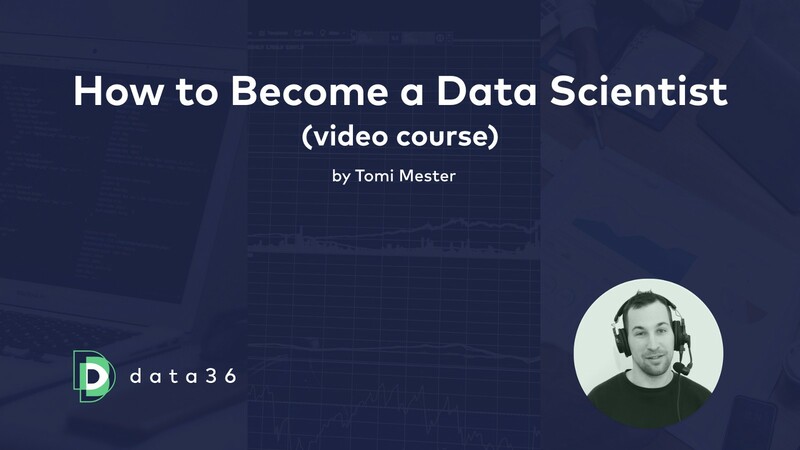 To learn how to go even further, check out my free video course: How to become a Data Scientist. And if you want to try out what it is like being a junior data scientist at a true-to-life startup, check out my new 6-week online data science course: The Junior Data Scientist’s First Month! If you are more of a book person, check out my other article: Aspiring Data Scientists! Learn the basics with these 7 books!